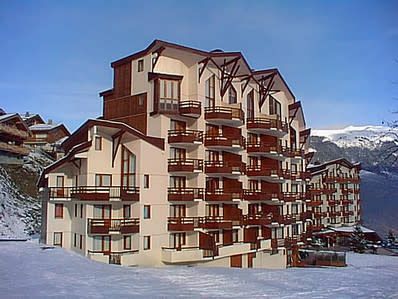 3 BEDROOMS DUPLEX SKI IN SKI OUT APARTMENT EXPOSED SOUTH EAST WITH VIEW ON THE MOUNTAINS. 3 bedrooms duplex 65 sq-m apartment on the 2nd floor of the residence with lift. Balcony exposed south east with view on the mountain and the forest. Bedroom 1 with balcony: one set of bunk beds (1 single and 1 double beds). Living-room: one single sofa bed. Bedroom 2: 1 double bed. Bedroom 3: two set of bunk beds. - Bathroom with bath. Separated toilets. Ski locker. Possibility to rent a covered parking place: 60 Euros / a week. Please note that bed linen is provided. Beds can be made prior to arrival for 8€ per bed. Towels are available for 12€ per guest.